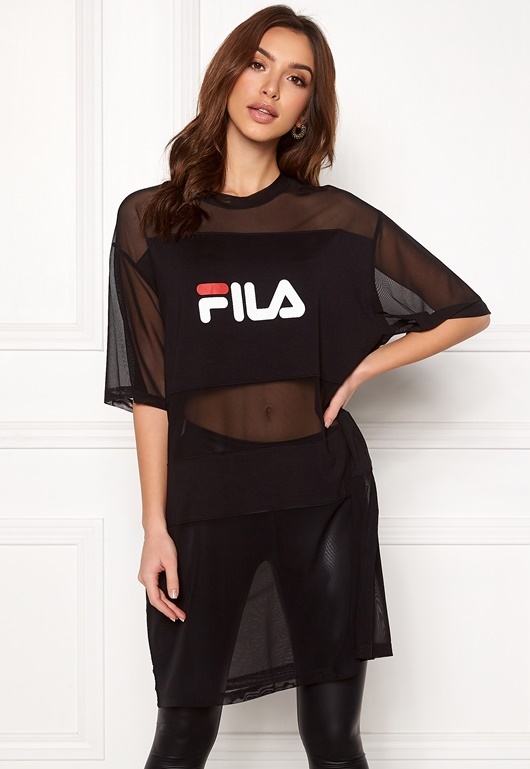 Beautiful dress top from FILA. The top has a sporty, trendy design, with the brand logo at the front and mesh sections. - Stretch quality - Mesh sections - Logo both front and back Back length from shoulder seam 94 cm, bust 122 cm in size S. The model is 171 cm tall and wears a size S. Machine wash at 40 degrees (delicate wash).